Maria Pomes Lorences, International Studies,Indigeneity and Mobilization: ¿How do Collective Identities of Lowland Indigenous Nations in Bolivia Influence their Strategies to Implement their Right to Self-Determination and Cultural Promotion? Gerlinger Lounge, 1468 University St. In the United States and across Europe, nation-states are slamming their doors on immigrants and refugees. This nationalist reaction to the diversity that globalization has brought seems to portend depressed immigration levels for the foreseeable future. Yet employers still demand immigrant labor in a growing economy. Even as U.S. President Donald Trump’s anti-immigrant rhetoric and policies drove undocumented workers deeper into the shadows, his administration also approved a record-breaking quarter-million temporary agricultural worker visas, known as H2A or “guestworkers.” Similar patterns are in effect around the globe. In this panel, historians join key Oregon advocates for both agricultural and workers’ interests to contextualize the “guestworker” phenomenon locally and globally, and ask whether it represents the future of immigrant labor in the United States and beyond. Michael Dale is the founder and executive director of the Northwest Workers’ Justice Project, and non-profit law firm that represents low wage, immigrant and contingent workers with respect to civil employment law problems. He worked for 25 years as an Oregon legal aid attorney, and helped establish the Oregon Law Center in 1995. Over the last ten years he has been engaged in extensive litigation over the rules governing the use of H-2B temporary workers, winning cases in the 3rd, 11th and 4th Circuit Courts of Appeals. Christoph Rass is one of Germany’s leading historians of twentieth-century European labor migration. A professor at Osnabrück University’s Institute for Migration and Intercultural Studies, Rass concentrates on institutions and knowledge production in migration regimes, forced migrations, and GIS-based modeling of migration patterns. Rass is a recent recipient of the Kalliope Prize for Migration Research from the German Emigration Center. Jeff Stone is the CEO of Oregon Association of Nurseries and formerly Chief of Staff to Metro Council. Stone has a BS from the UO in political science and has deep experience in Oregon and national political affairs. He has served as an executive and board member of numerous business and nonprofit organizations. Julie M. Weise is a scholar of twentieth-century Mexican migration history in global context. An associate professor of history at the University of Oregon, Weise is the author of the prize-winning Corazón de Dixie: Mexicanos in the U.S. South since 1910 (UNC Press, 2015). Her current book project, “Citizenship Displaced: Migrant Political Cultures in the Era of State Control,” places postwar Mexican migration history in conversation with parallel histories in Europe and southern Africa. Cosponsored by the UO Office of International Affairs, the UO Department of History, and the Global Studies Institute’s Global Oregon Faculty Collaboration Fund. Part of the Wayne Morse Center’s 2017-19 theme, Borders, Migration, and Belonging. The Wayne Morse Center for Law and Politics encourages civic engagement and inspires enlightened dialogue by bringing students, scholars, activists, policymakers, and communities together to discuss issues affecting Oregon, our nation, and the world. Founded in 1990, Cine-Lit is the continuing, cooperative organization between the University of Oregon, Portland State University, and Oregon State University that, in conjunction with the Portland International Film Festival, organizes an international symposium on Hispanic film and literature every 3-4 years. The conference is held at the UO PDX and PSU. This 9thedition highlights the theme of WOMEN (women filmmakers, representations of women and genders and so on). For the UO Eugene,this is a signature event for faculty and students working in Hispanic cultures across disciplines in the Humanities, as the occasion showcases UO faculty and students who come from Eugene to participate in conference sessions, round tables, filmmaker lectures and film screenings at the University of Oregon’s Portland campus. In past conferences, faculty and graduate students from Romance Languages, Cinema, Women and Gender Studies, Journalism, History and Latin American Studies have participated in the conference and film festival. New for 2019 is a campaign to create two conference sessions dedicated to the presentation of Eugene undergraduate research on Hispanic cinema and culture. The second initiative new for 2019 is that peer-reviewed articles based on conference papers from 2015 (and, later for 2019) will be published in a special issue of the new UO-based academic journal Peripherica http://journals.oregondigital.org/index.php/peripherica/index. Over three days, professors, graduate and undergraduate students share their research on the relationship between cinema and literature. They also participate in workshops, attend roundtable discussions by the writers and cineastes invited by the symposium, and listen to the keynotes. All meetings are free and open to the public. 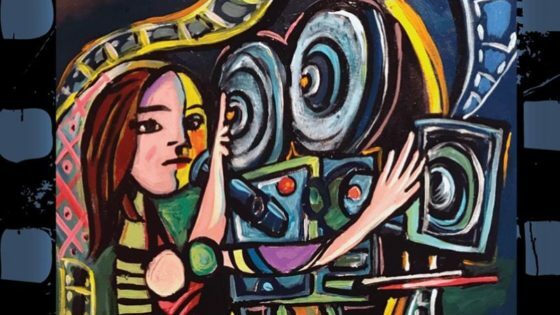 Each afternoon and evening speakers and audiences have to opportunity to watch the latest Hispanic films featured at the Portland International Film Festival in connection to the themes discussed at the conference. One highlight is the presence of the Hispanic directors invited by Cine-Lit and whose films are featured by the Festival. Cine-Lit participants and our university students interact with these invited artists. 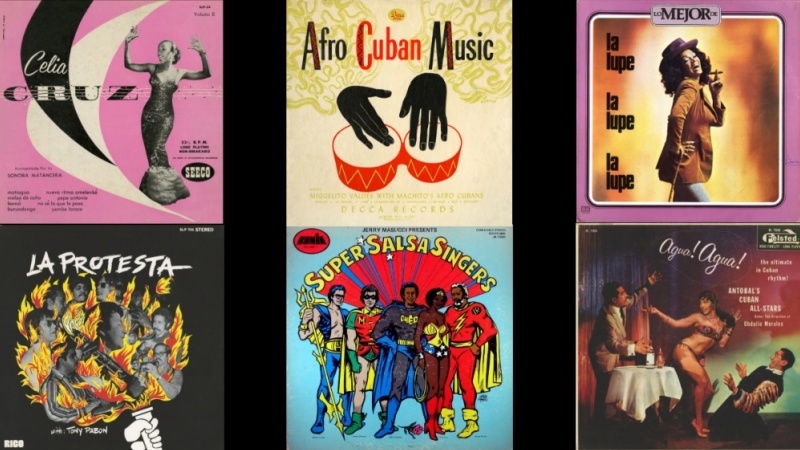 This CLLAS Research Series presentation will discuss the cultural and political dimensions of Latinx presence in the US seen through Latin album cover art. Visual Clave is connected to the exhibit with the same title and has been organized by Philip W. Scher, UO Professor of Anthropology and Folklore and Public Culture and Divisional Dean for Social Sciences, and Pablo E. Yglesias, a Northampton, MA-based Cuban-American researcher, writer, musician, artist, and DJ. The exhibit could be seen at the Jordan Schnitzer Museum of Art through April 21, 2019 and is supported by AUO’s College of Arts and Sciences, CLLAS, and a JSMA Academic Support Grant. Visual Clave is organized by Philip W. Scher, UO Professor of Anthropology and Folklore and Public Culture and Divisional Dean for Social Sciences, and Pablo E. Yglesias, a Northampton, MA-based Cuban-American researcher, writer, musician, artist, and DJ. An expanded version of the exhibition was on view previously at the Student Union Art Gallery at the University of Massachusetts-Amherst; the Bronx Music Heritage Center, NY; and Picture Farm Gallery, Brooklyn, NY. Visual Clave takes its inspiration and intellectual structure from Yglesias’ book Cocinando: 50 Years of Latin Album Cover Art (Princeton Architectural Press, 2005). All album covers reproduced courtesy of their respective record labels. CLLAS offers both Faculty Collaborative Research Grants and the Faculty Latinx Studies Seed Grant. Application deadline for faculty grants is: 12:00 p.m. (noon), Friday, April 5, 2019.